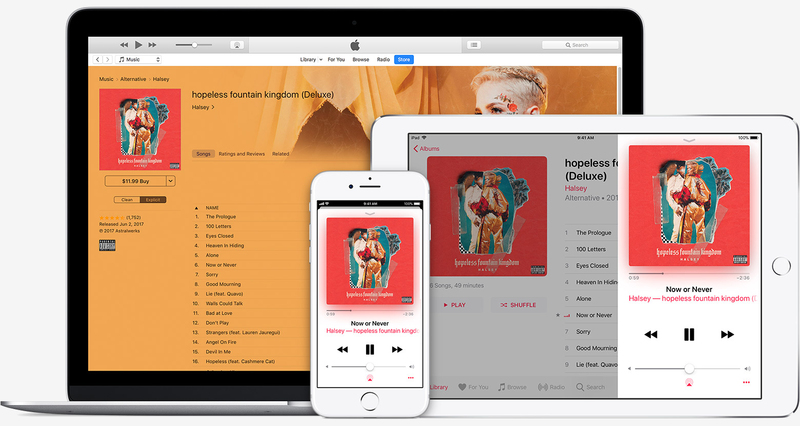 Apple’s streaming music service now enjoys 38 million paid subscribers, an increase of two million subscribers since the company last reported figures in February. Eddy Cue, Apple’s senior vice president of Internet software and services, revealed the updated subscriber count at SXSW. By comparison, industry leader Spotify had 71 million paying subscribers as of December 2017, Amazon Music Unlimited has 16 million paying customers and Internet radio pioneer Pandora has just 5.48 million total subscribers according to Reuters. Apple’s smart home speaker, HomePod, launched on February 9 and could possibly be responsible for attracting some of the newest Apple Music subscribers. The service, like most of its competitors, costs $9.99 per month for an individual plan or $14.99 per month for a family subscription accessible by up to six users. Notably, however, Apple doesn’t offer an ad-supported free tier. Apple initially resisted the urge to hop on the streaming bandwagon and really, it was in no hurry to do so. The company revolutionized the music industry with its iPod and iTunes products although as consumer trends shifted towards streaming and Apple fell further behind, most realized it was just a matter of time before Apple offered such a service. That time came in mid-2015 and Apple hasn’t looked back. SXSW runs through March 18 in Austin, TX.